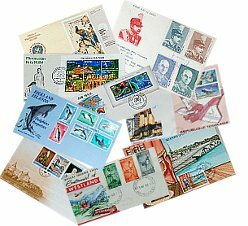 Do you have a stamp collection sitting around gathering dust? Whether it was your own, neglected for many years, or an inheritance, maybe it's time to turn it into cash! We are serious buyers of serious stamp collections. We buy First Day Cover collections too! Canada, USA or any foreign country. We can use any good collection! We buy old postcard accumulations! Before the telephone became widespread, the postcard was the preferred method of quick communication. There were actually more postcards produced before 1920 than there are today! 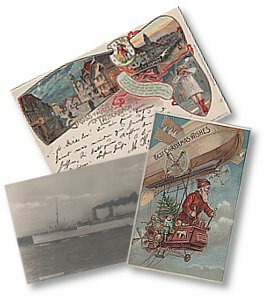 Whether you have a shoebox full of old cards from a family correspondence, or an actual collection of postcards put together by a collector, we're interested. It doesn't matter where they are from - we have customers all over the world. What's "old"? - basically more than 50 years old. 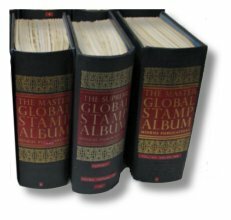 Boxes of these are often found in business archives, estates or attics, or it may be a portion of a stamp collector's collection. What looks like worthless paper to some people can become real cash in your pocket! We recently bought a business correspondence that was just about to be sent to the dump. 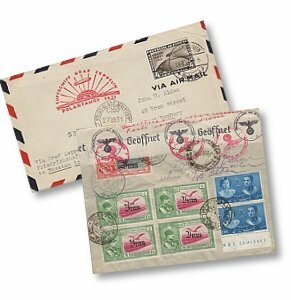 These envelopes (with no letter contents) had been accumulated for years by an employee of a professional organization whose members sent in their dues from all over the world. There were ten big boxes, and the new management wanted the space! Lucky for them, they called us. We paid $300 per box for 10 boxes -- $3000 out of nowhere for the lucky owners! Needless to say, they were pretty happy!